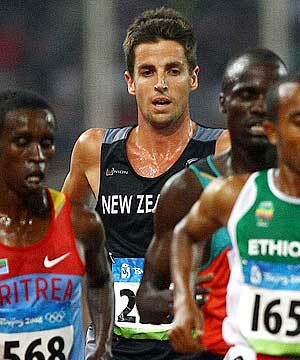 New Zealand national record holder at 5000 meters (13:10.19) and a 2008 Olympian, Adrian Blincoe has been named to the 2010 Kiwi Commonwealth Games team. Blincoe was an NCAA champion at 3000 meters and anchored two NCAA DMR champion teams while at Villanova, where he was a 7-time All-American. He currently serves as an assistant coach under Marcus O'Sullivan. Here is the New Zealand team that will compete at the Games in Delhi, India.